Whether you’re looking to improve your life, develop new habits, or just make it through the day, you’re going to need motivation. But motivation can be hard to come by. 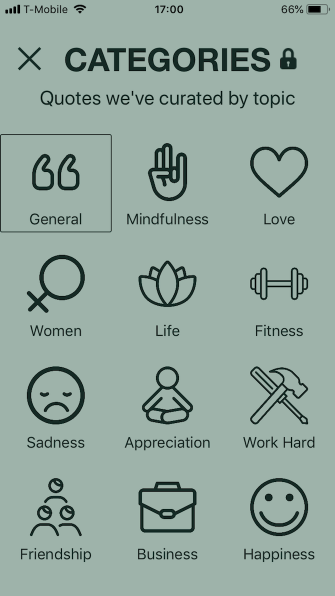 These five motivational apps for iPhone solve that problem. In just a few minutes, these apps will help you gather motivation and prepare yourself for a successful day. Want to see if motivational videos have any kind of impact on your life? If you have a dream that you’ve been putting off, try a life experiment of watching motivational videos every day.
. Some even insist that it can change your life. But searching YouTube every day for new videos takes time. If you want to get your motivational videos faster, Motivate will help. On the free plan, you get five videos every day. 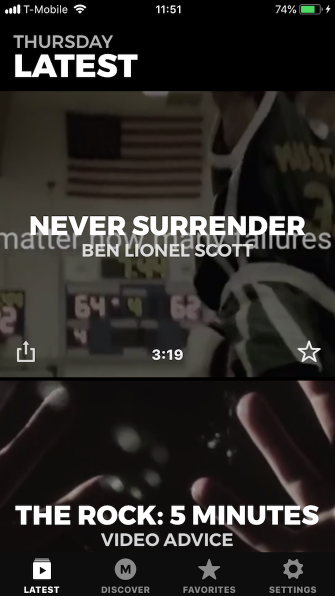 Just open the app, hit play, and watch. 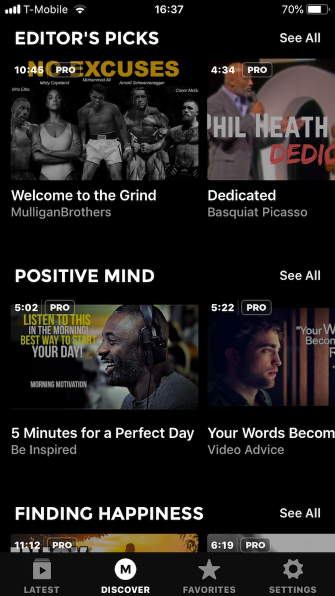 You can also listen—Motivate will stay open when you put your phone to sleep, so you can get motivated on the go. Does watching self-improvement channels on YouTube make a difference to your day? Try these 10 inspiring YouTube Channels for feeding your motivation. Self-talk is a powerful force that can change our thought and behavior patterns. That’s true whether your self-talk is positive or negative. ThinkUp keeps your thoughts positive. Self-affirmations are powerful psychological tricks that help overcome negative thoughts. Self-affirmations can help people perform better at work. These apps and websites will help you start with meaningful positive statements.
. You’ll record yourself saying the affirmations suggested by the app or ones that you write yourself. Listen to them for five minutes at least once a day, and you’ll be on your way to increased positivity. With the free plan, you can record up to four affirmations and use a single piece of background music. The Pro plan ($5/month or $24/year) gives you storage for unlimited recorded affirmations and lets you use multiple pieces of background music. Hearing your own recorded voice might make you wary about this app. But ThinkUp points out that your brain both trusts and understands your own voice. So it might seem weird at first, but you’ll get used to it—and it will pay off. Fabulous describes itself as a life coach and habit tracker. It focuses on building the right habits to improve your life. 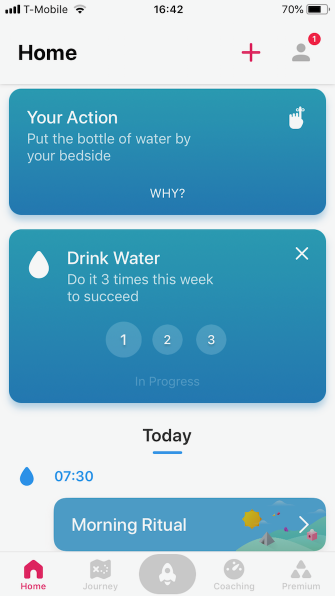 Just choose a goal (like being more energized throughout the day, losing weight, or sleeping better), and the app will tell you which habits you should adopt to meet those goals. Creating new habits is hard. Habits are usually built over weeks or months of repetition, and motivation is the challenge. When the going gets tough, micro-habits can be a huge help.
. The first challenge in the Feel More Energized goal, for example, is to drink a glass of water upon waking up. If you complete that challenge three times, you’ll get another habit to work on. You can also add other habits to progress faster. And you can add custom habits that fit your personal goals. Keep track of your progress, keep moving forward, and you’ll establish great habits that help you lead a better life. With the free version of the app, there’s only a single goal: Feel More Energized. With a subscription ($10/month or $96/year), you get access to more goals. 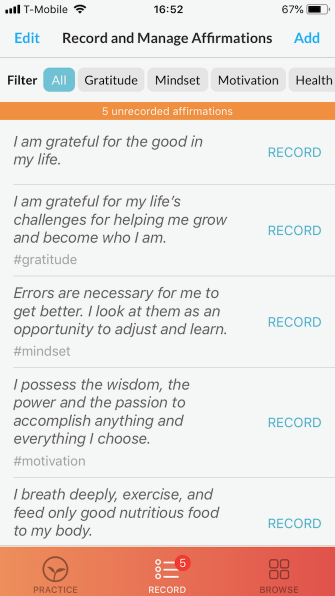 This app gives you access to speeches, pep talks, and other motivational audio files. 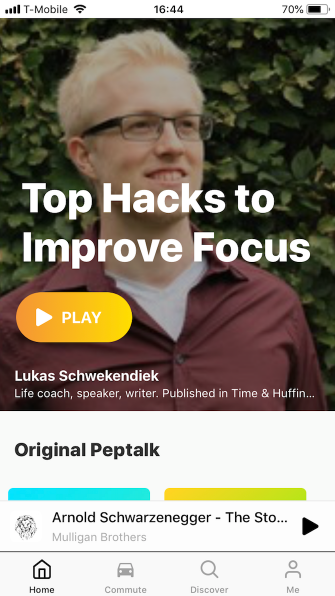 You can sort by channel, category, or speaker to get exactly the pep talk you need. Popular speakers on the app include CT Fletcher, William Hollis, the Mulligan Brothers, Mel Robbins, and Tim Ferriss. There’s also a great feature for filling your commute with motivation. 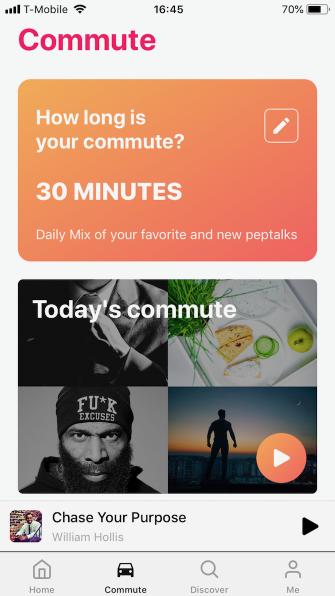 Tell the app how long your commute is, and it’ll create a mix of popular and favorite pep talks for you to listen to. With a premium subscription ($10/month or $50/year) you get an ad-free experience, offline downloads, new daily pep talks, and a dedicated Facebook group. Quotes are some of the most commonly used motivational tools. It’s hard to beat the simplicity of a single sentence that sums up what you’re feeling or what you need to do. This motivational app has hundreds of quotes to boost your drive. You can save or share the quote of the day and get motivational reminders on a set schedule. With a premium subscription ($5/month or $36/year), you won’t see ads, can browse by category, and get more color and font options. 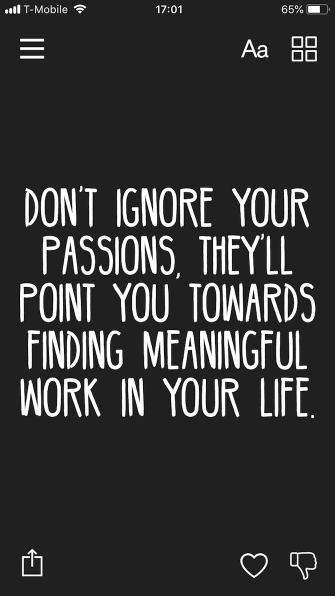 If you’re interested in motivational quotes for fitness, check out FitQuote. Everyone is motivated in different ways. 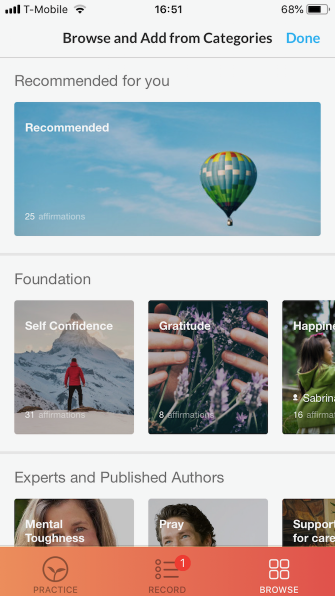 Whether you’re looking for inspirational quotes, motivational videos, positive affirmations, or help with building habits, these apps will help keep you on the right track. 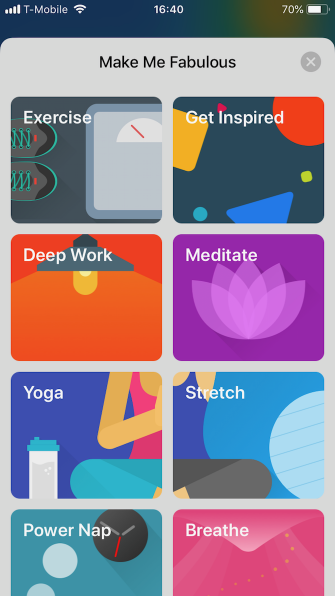 These 10 iPhone self-care apps will help you keep track of and work towards your goals for sleep, meditation, exercise, and more.
. They’ll help you meditate, reflect, and affirm your way to a more positive lifestyle. Explore more about: Health, iOS Apps, Mental Health, Motivation.